When I was a kid, I used to play red light, green light. Do you remember that game? The leader would stand at the front of a group of us kids. That leader would turn their back and yell green light. 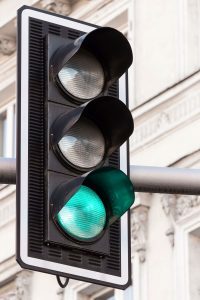 We could only move on a green light, when the leader wasn’t looking. Then, when we least expected it, the leader would then turn around and yell, “RED LIGHT.” We all had to stop! If the leader saw someone move, even a tiny little bit, they had to go all the way back to the start. The goal was to be the first to get to the leader and tag them. I don’t know if you’ve ever noticed, but there are three distinct strategies to this game. turned around. It was also a lot easier to stop and be perfectly still when they were moving slowly. first to touch the leader’s shoulder. Red light. Green light. Which kid were you? The cautious one who moved slowly hoping never to get caught when the light turned red, the one who took big risks and ran all the way, or the one who took one step at a time? 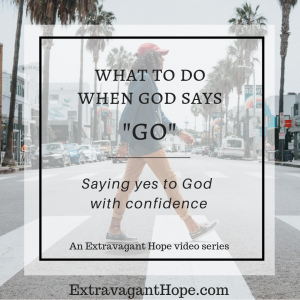 How about the times when God says, “Go”? 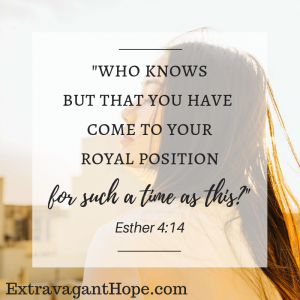 The times when God is clearly inviting you to join him in something he’s doing; or when God is calling you to try something new or serve somewhere you haven’t served before. What do you do? Do you hesitate? Do you stay where you are without moving at all? Or do you go? Do you excitedly charge ahead? Do you tiptoe slowly? Or do you take it one step at a time? 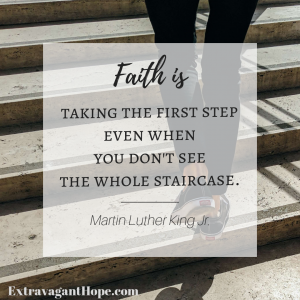 I want to give you the courage to move forward confidently when you hear God calling you to GO – when you feel God nudging you to step out in faith. 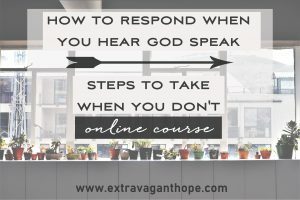 Watch the whole lesson “What to Do When God Says, GO” in our FREE e-course video series, “How to Respond When You Hear God Speak: Steps to Take When You Don’t”. 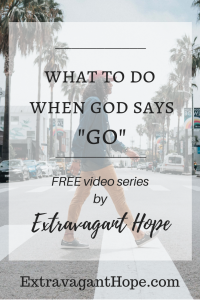 In my lesson, we’ll talk about moving forward when God says “GO”, and what we miss when we don’t. 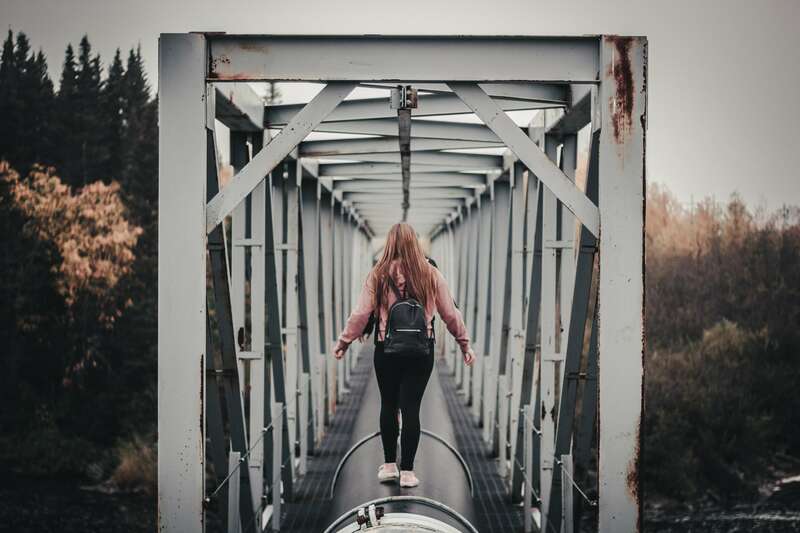 We’ll take a look at some biblical examples of different responses to God’s call to GO: Some who hesitated, some who wanted to charge ahead, and some who confidently moved forward – even if it was slowly at first. Hear my lesson plus, two other teachings on: “How to Find Direction when God is Silent“ and “How to Find Hope When God Says, ‘NO’ “. I can’t wait to see you there. Click the button below for instant access to the e-course! PS – If you like this free online course (video series), please consider sharing. The social media share buttons are on the top hand side of this page. Thank you for helping us spread HOPE! Will Fear Keep You From Getting Out of the Boat? 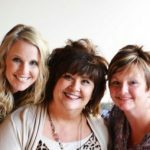 I’m a mom of three grown sons and a grandma of three granddaughters (who would have thunk?). 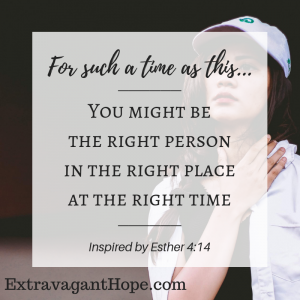 When my boys were in their early teens, I found myself suddenly single again - and not by my choice. (We all have things that we wish weren’t part of our story.) I was unexpectedly a single mom, going back to work for the first time since my boys were born. I studied for my M.Div. while my two oldest sons were in college and my youngest son was in high school. The boys would come home and say, “I have a paper due Friday” and I would say, “Me too!” Fun times. We celebrated three graduations in one week (my oldest had already graduated). I'm currently the lead pastor at Cedar Church in Minnesota. Serving Jesus is an adventure; full of challenges and unexpected turns in the road. Sometimes it's exciting; sometimes hard and scary; always more fulfilling than anyone could imagine.